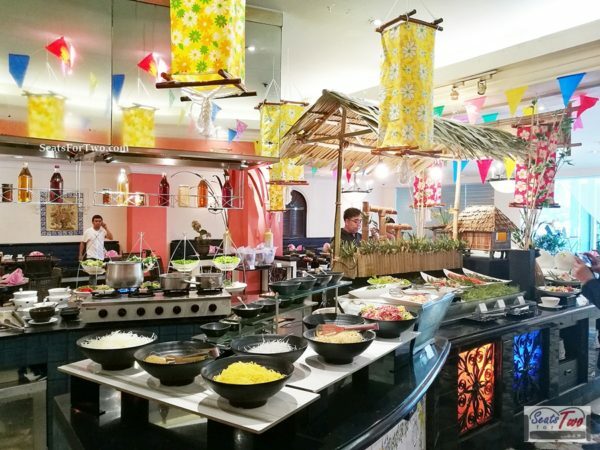 ‘Heritage‘ is defined by dictionary.com as ‘something that is handed down from the past, as a tradition…‘ This was quite what we recently experienced in the launch of The Heritage Hotel Manila‘s “Fiesta Filipino” Buffet. 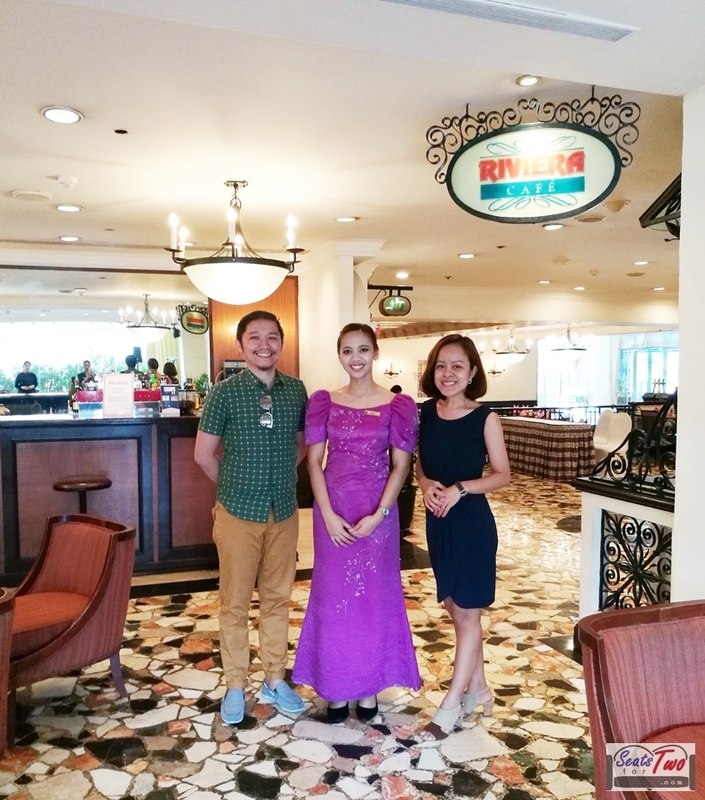 Riviera Cafe of the Heritage Hotel hosted Seats For Two in a lunch buffet aptly called “Fiesta Filipino” celebrating classic and traditional Filipino food from the popular main dishes down to the well-loved Pinoy desserts. 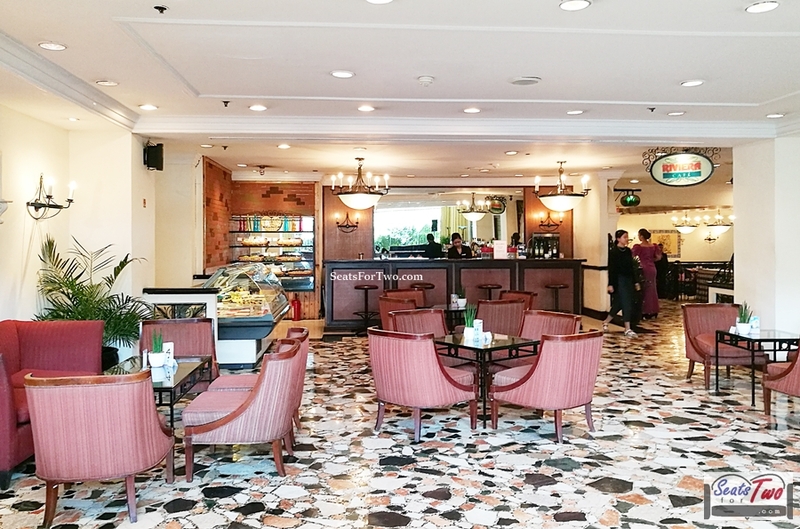 The Heritage Hotel Manila has been an icon in the Manila hotel industry since the 1980’s. Although a lot of other newer hotels have populated the metropolis, the Heritage Hotel has stood the test of time offering what is does best – heritage amidst the modern enclaves of society. 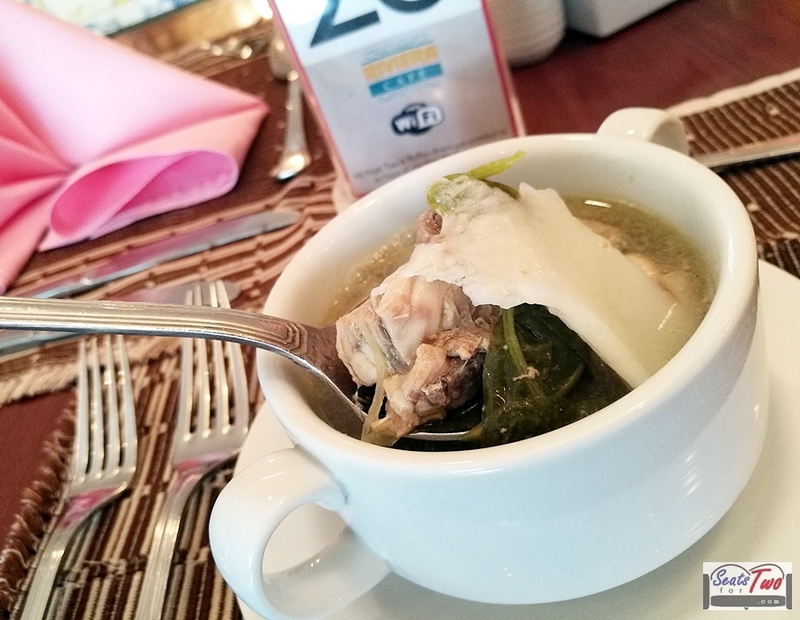 It is Seat For Two‘s our first time to dine at the Heritage Hotel Manila and we were not quite sure what to expect. 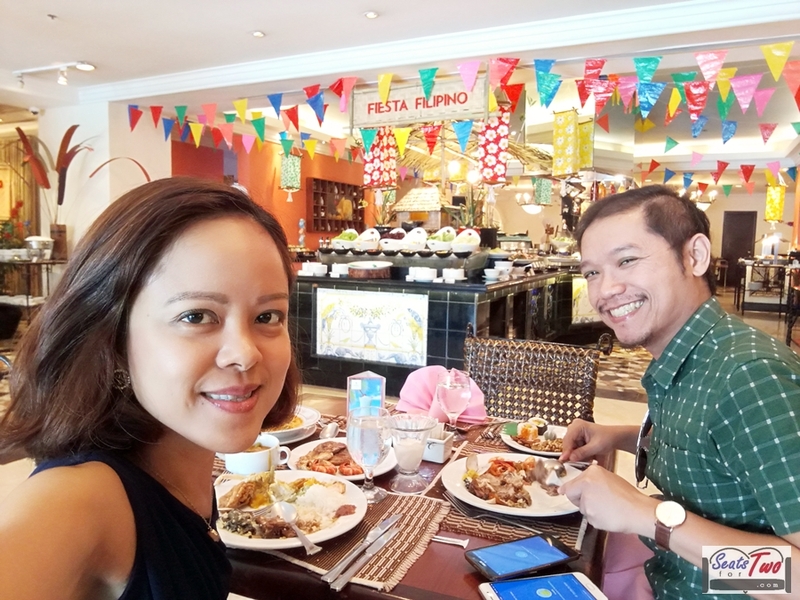 Pleasantly surprised, the place is actually bigger than we expected and the Riviera Cafe’s seating capacity is easily beyond a hundred and can hold a grand feast with its retro charm as background. ‘Fiesta‘ is a Spanish term which refers to a festival, usually of religious nature. Being a colony of Spain for more than 300 years until the early 1900s, the Philippines has adopted a good heap of its language and culture. Today, ‘fiestas‘ are much of a mainstream in Filipino culture both in the city and more so in the provinces. 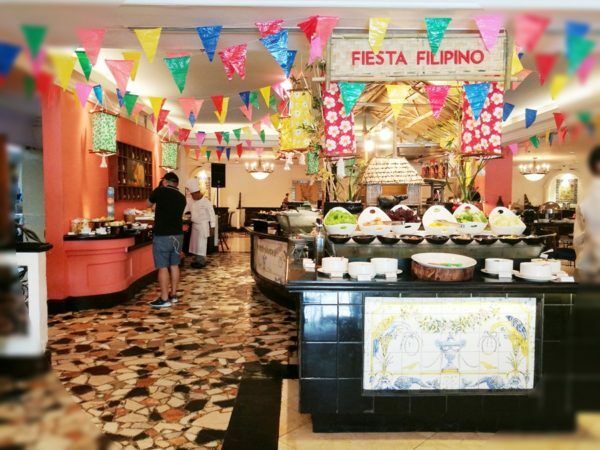 With that in mind in the aspect of food, Riviera Cafe is currently offering the Fiesta Filipino Buffet featuring some of the best Pinoy dishes and delicacies. 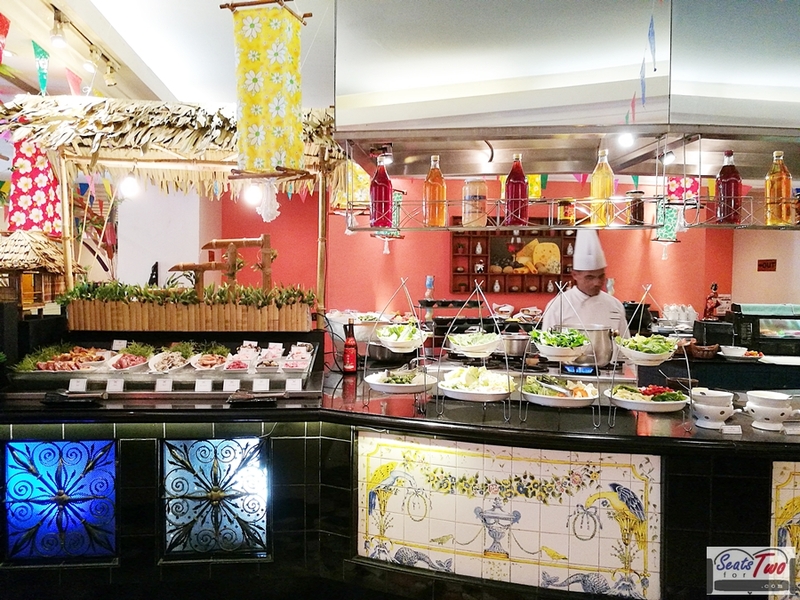 The buffet features the fresh seafood station, salad & bread station, Mabuhay section highlighting dishes cooked in ‘palayok‘ (claypot) such as Ginataang Kalabasa with Alimasag, the famous Adobo, and Paella Valenciana. A separate section is reserved for the noodles and pasta. 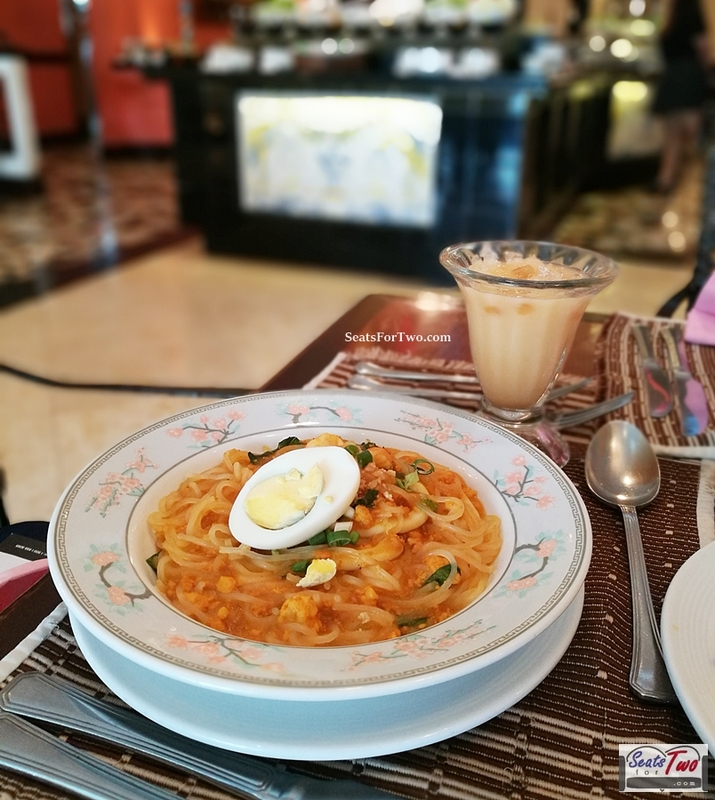 We were told that palabok is their most requested pasta variant. We tried them and it was good. 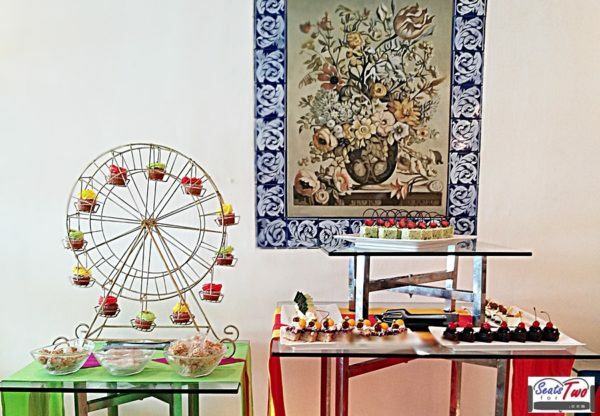 For soup lovers, you have the flavorful Chicken Binakol and the classic Pospas among your options while the Kinilaw na Lato and Lumpiang Sariwa can serve as additional appetizers. 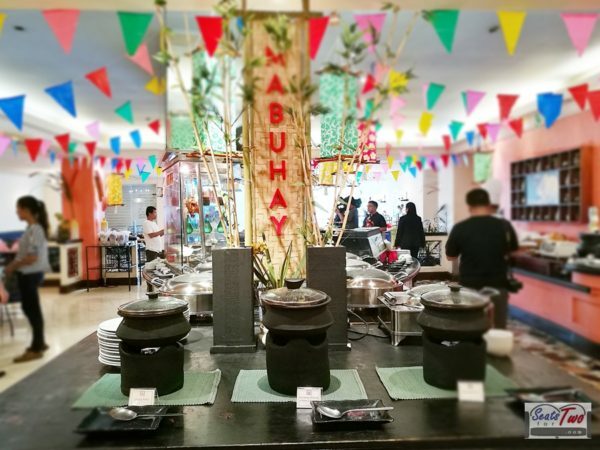 For the mains, you’ve got Filipino fares of chicken, fish, pork, beef, and lamb dishes. 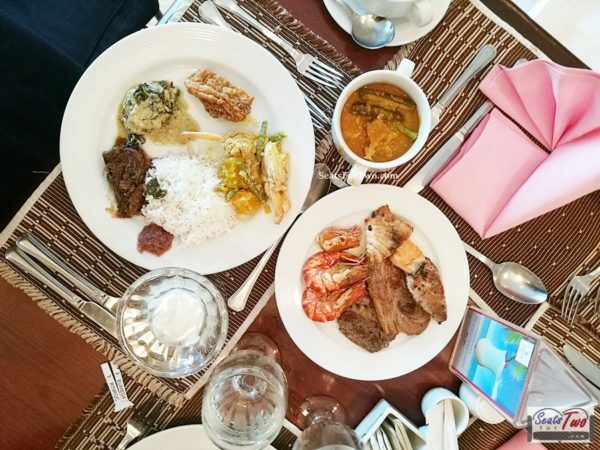 In the list are Kare-Kare, Fried Chicken ni Lola (Grandma’ Fired Chicken), Pinakbet, Okoy, Alimasag, Grilled Hipon (Prawns), Inihaw na Pusit, Tahong (Clams), and Pansit Habhab, among others. 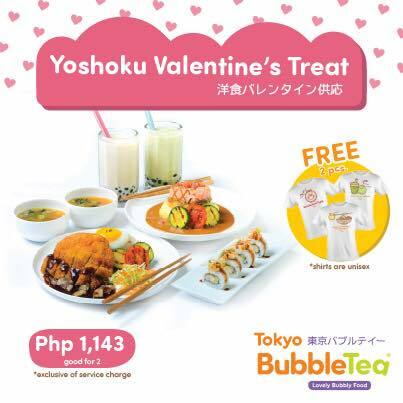 Non-Pinoy dishes include the Hainanese Chicken Rice (fixed fare in the buffet), Japanese Maki, and Dumplings, among others. 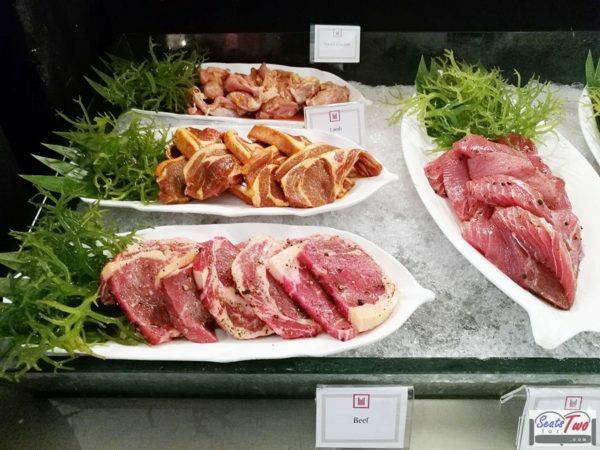 If you prefer D-I-Y, you can get fresh meat and have them grilled on the spot or stir-fried. Another interesting dish is the ‘Tinoktok na Hipon‘. 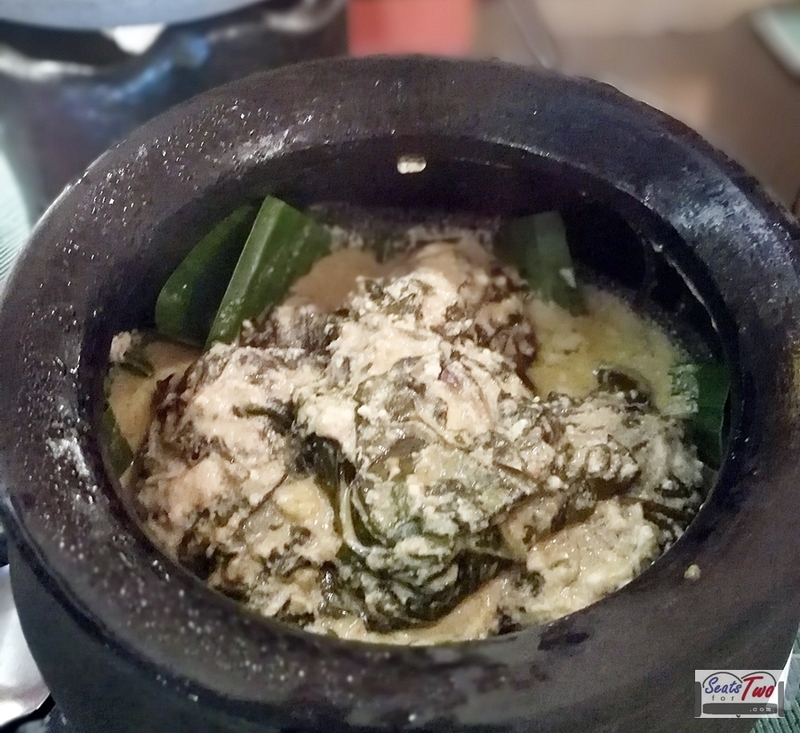 It originated from the province of Bicol with shrimp wrapped in gabi (taro) leaves and cooked in coconut milk. 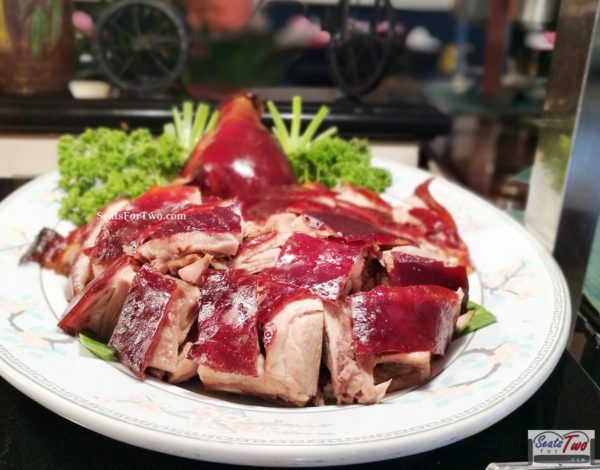 You might also want to try the lechon de leche and roast chicken. 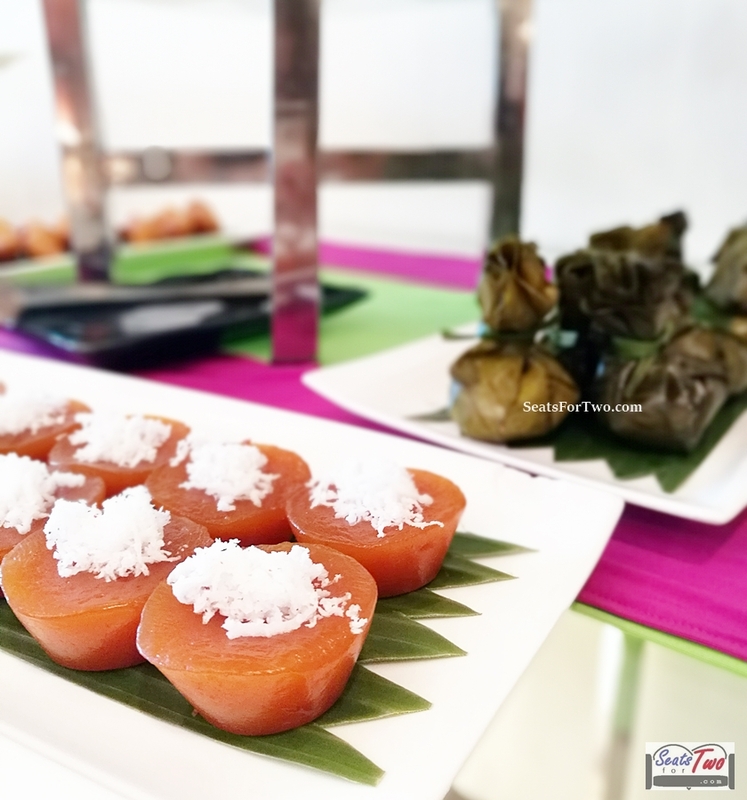 For dessert, it’s a delight to see the well-known Pinoy rice cakes in the form of pichi-pichi, kutsinta, biko, puto, and of course – Halo-Halo. 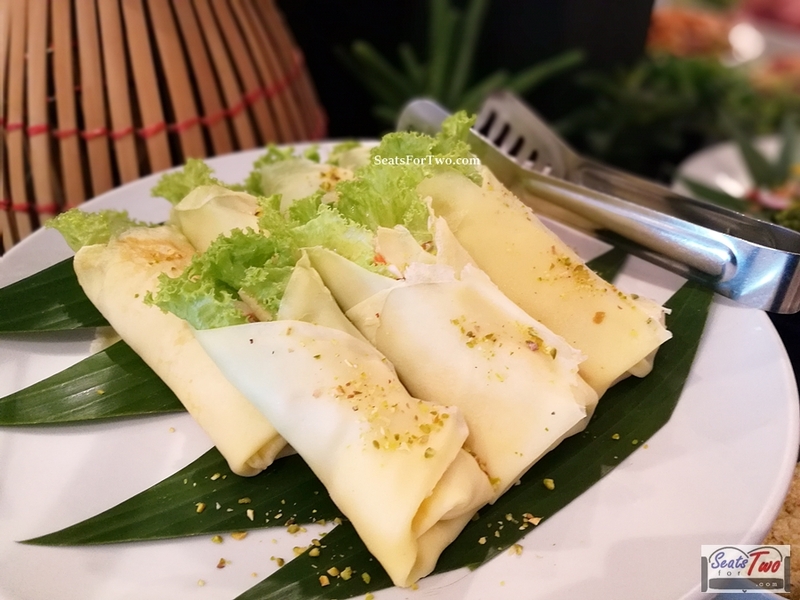 There’s also a variety of suman fares. It is worth mentioning too that what brought back childhood memories was the nilupak, another wheat-based Filipino snack. 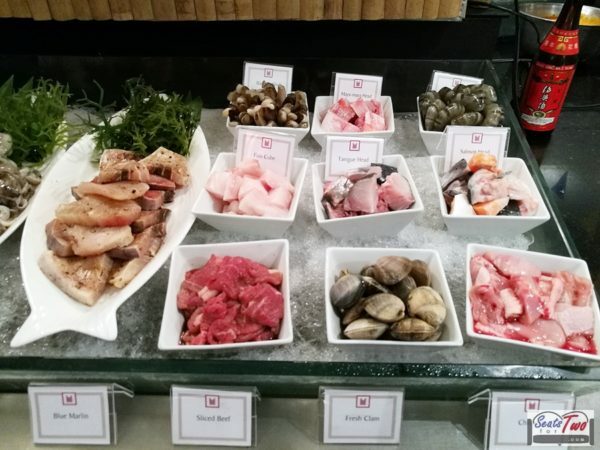 We rarely see nilupak in most buffets nowadays. 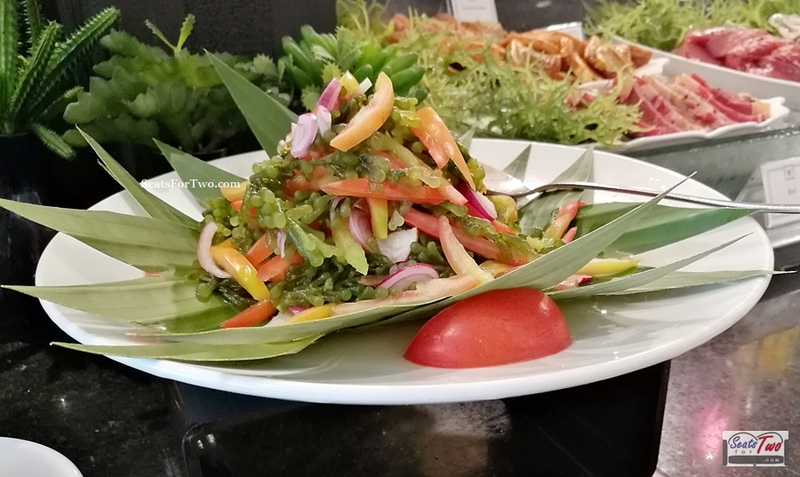 If there’s anything that was missing in the list – it would be palitaw. 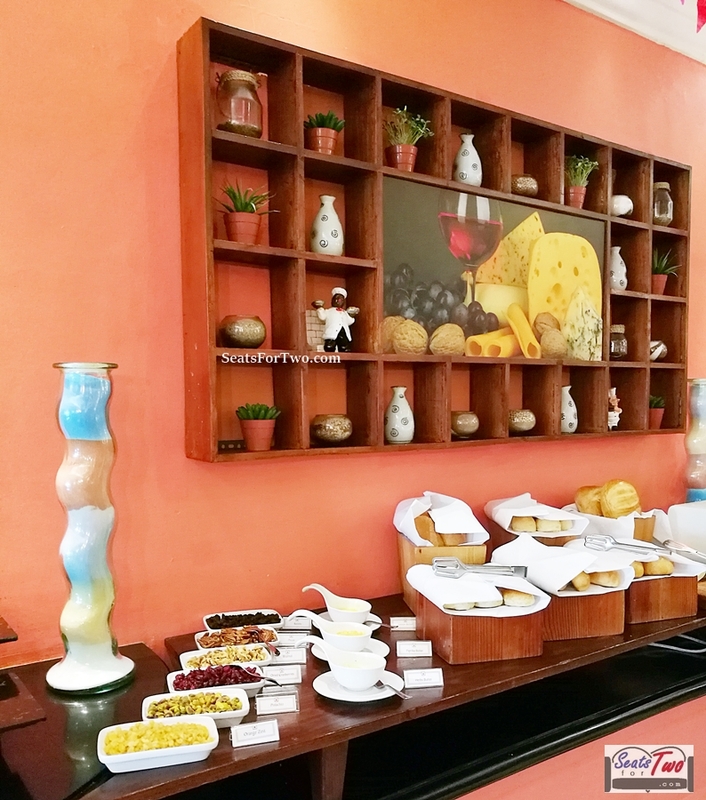 But don’t fret, the Heritage Hotel rotates the offerings to offer different “Fiesta Filipino” variants during lunch and dinner so you might just catch them in your visit (or our next). 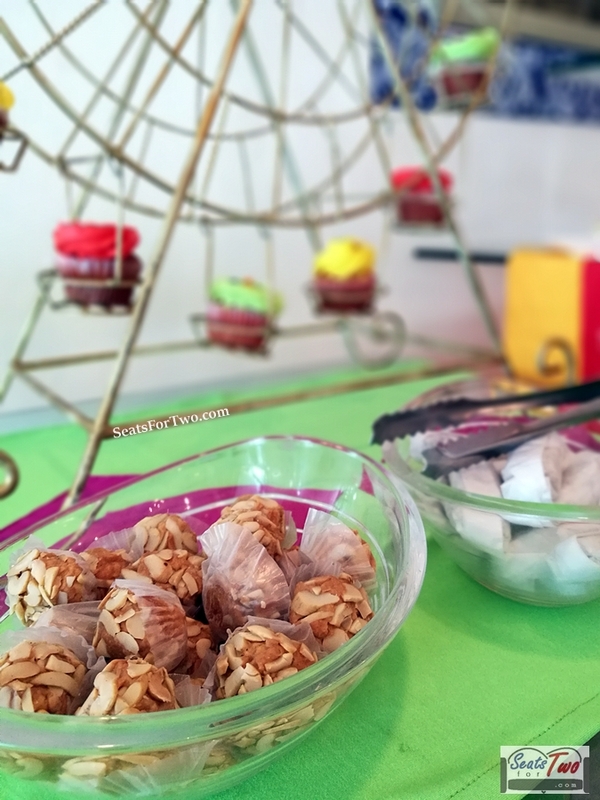 For those who miss their western fares, cupcakes and a few other kinds of pastries are also available. 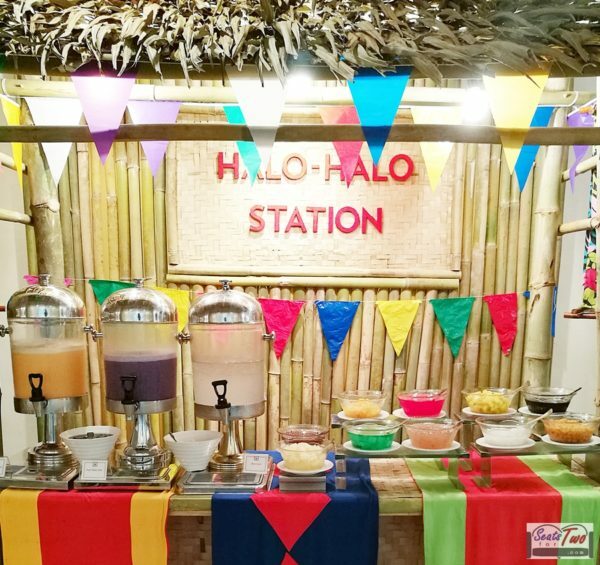 A true Fiesta Filipino would not be complete without halo-halo, a popular Filipino dessert with shaved ice, milk and variety of native ingredients like sweetened banana, sweet beans, sago, sweet potato. 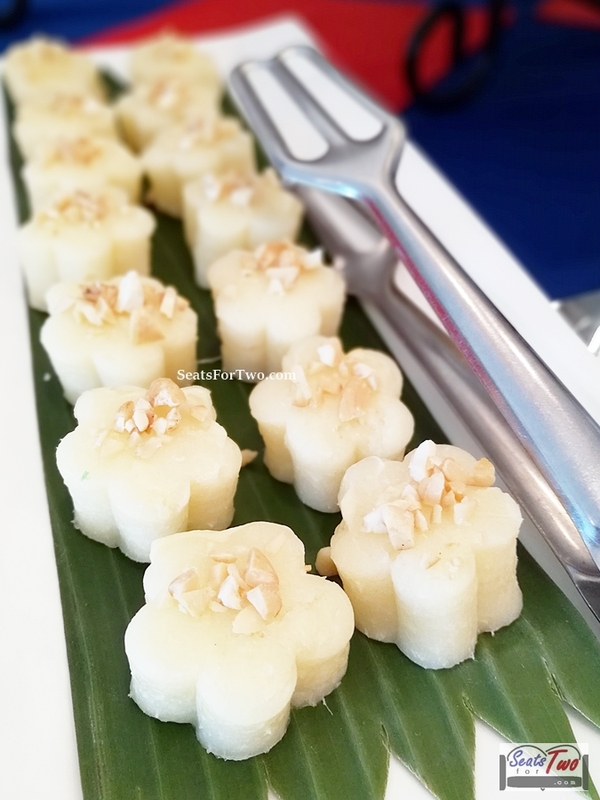 If you are from SouthEast Asia, you would find similar looking iced-desserts in Malaysia, Indonesia, and Singapore (also Japan). Sharing the same section are native fruits juices – coconut, melon and ube (taro) with sago / pearls and nata de coco add-ons. 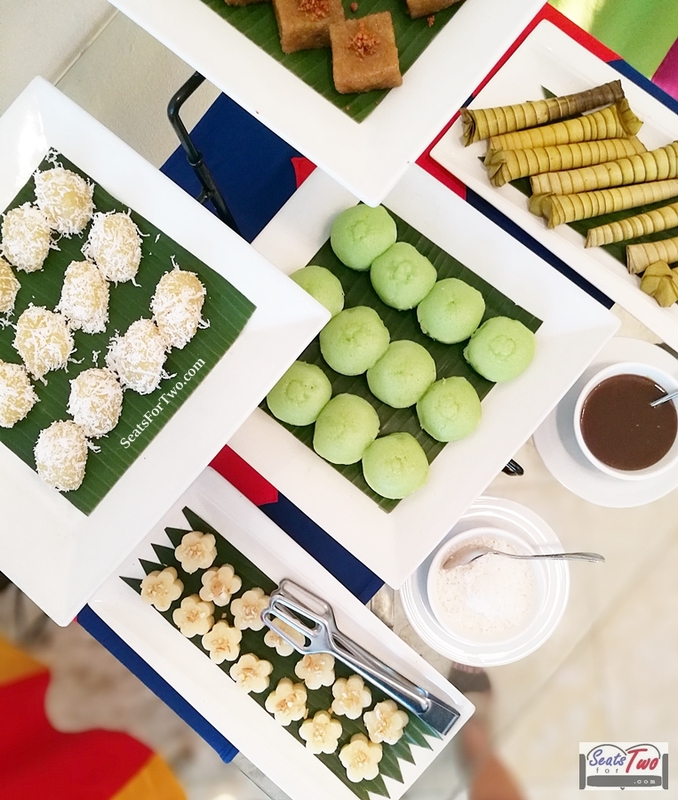 Don’t miss the buko pandan refresher on the side.